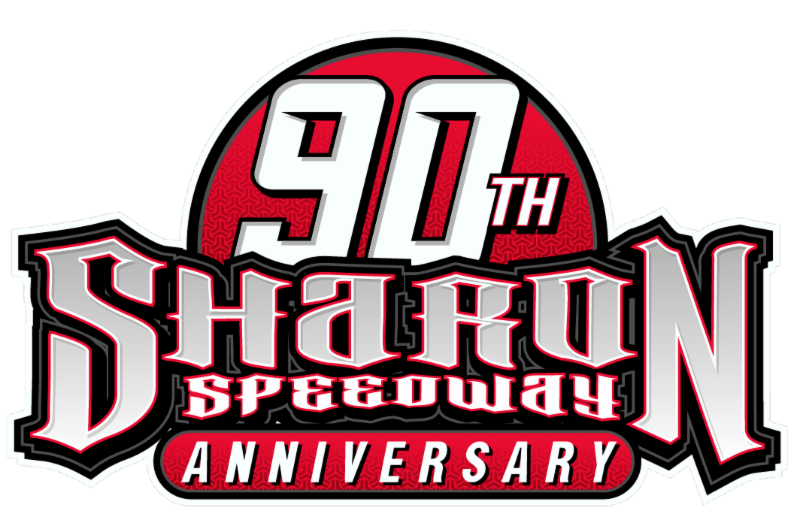 PEVELY, MO— July 1, 2017— Brandon Sheppard claimed his eighth win of the 2017 World of Outlaws Craftsman Late Model Series season and his second win of the 2017 DIRTcar Summer Nationals at Federated Auto Parts Raceway at I-55 on Saturday. This win additionally advanced him to 13-career Summer Nationals wins, ultimately placing him 13th on the all-time wins list. 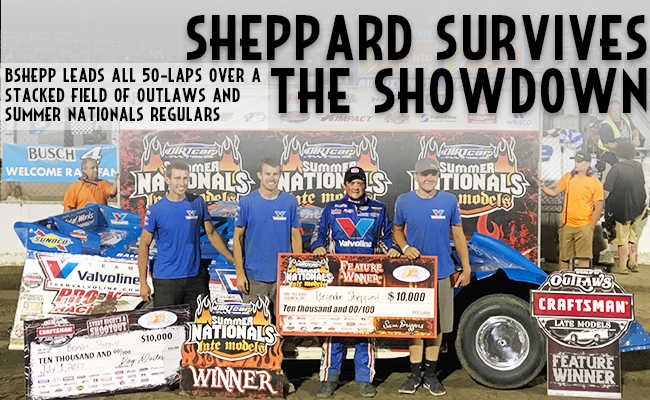 Sheppard and his Rocket 1 Racing team claimed their first Summer Nationals win of the season just two days earlier at Plymouth Speedway by out dueling a late race charge from Scott Bloomquist. The race at Federated Auto Parts Raceway at I-55 marked the first time that the World of Outlaws Craftsman Late Model Series collided with the DIRTcar Summer Nationals for one show. Placing two of the best Dirt Late Model tours on one stage did not leave the fans disappointed, as many times throughout the event fans were up and out of their seats cheering, gasping, and/or booing. Nothing got more of a reaction out of the fans than a crash on lap-43 wiping out all but one car in the top-five. Brandon Sheppard was leading the field at the time so avoided the wreck. Behind him Shirley, Madden, Erb and Heckenast were fighting for the final two podium spots. With multiple sliders and three-wide action around the track, it was only a matter of time until the inevitable. With seven laps to go, Shirley got under Madden’s left rear tangling the pair. Erb and Heckenast were trailing closely behind so there was no time to avoid the wreck. The event was running on Summer Nationals rules so the cars involved in the wreck had to go to the tail of the feature, even if they did not cause the wreck. Rather than returning to the field Madden and Shirley headed off the track and to the pit area. On Shirley’s way out, Madden’s crew guy threw a stick at Shirley’s car in displeasure with the way things unfolded. Eric Wells and Rick Eckert were able to cash in on the other driver’s misfortune by moving up the ranks to finish second and third. The World of Outlaws Craftsman Late Model Series will next head to Deer Creek Speedway for the Gopher 50 on July 8 for more information click here.